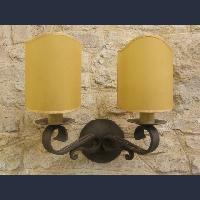 Wrought iron sconces with one light. 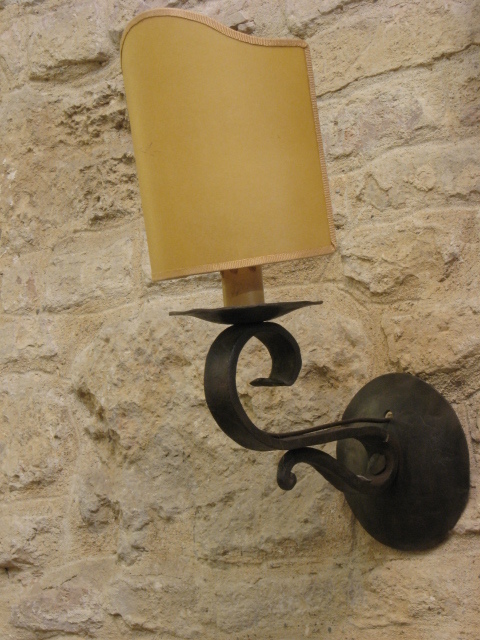 The Lamp consists of an arm of the "saucer" with final tail.Is sold with a parchment fan. Shipping worldwide all our items.